Our mission at FundamentalVR is to give medical personnel access to the best simulations on a day-to-day basis. We believe that every surgeon should have the opportunity to rehearse, practise and test themselves within a safe, controllable space that is as close to real life as possible and is within an arm’s reach of their work place. 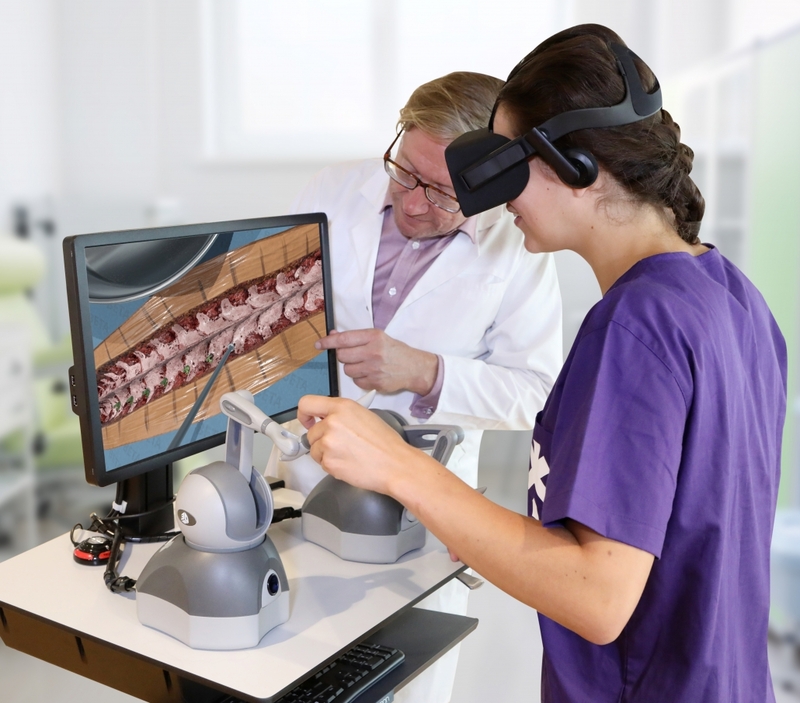 Our VR surgical simulations combine high fidelity experiences combined with high function haptic (touch) experiences, all delivered on low-cost readily available hardware. We provide a suite of online simulations for use by hospitals and institutions, Fundamental Surgery. We also deliver customised simulations for medical device, pharmaceutical and healthcare companies with specific HCP educational needs. Fundamental Surgery is our flagship service delivering a ‘flight simulator for surgery’. Fundamental Surgery combines a cutting edge VR experience with haptic feedback (the sense of touch) to create a near real operating experience. This creates a safe, measurable and repeatable involvement with medical procedures.